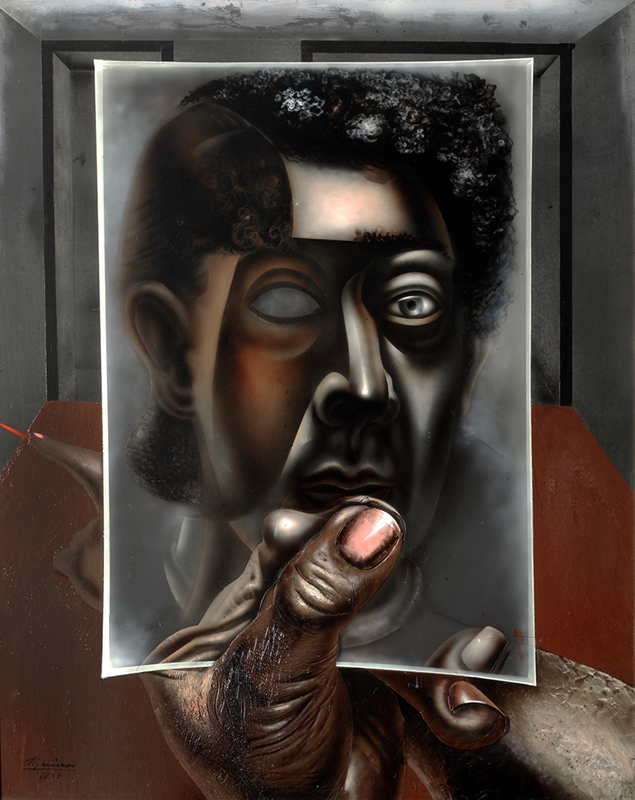 Mary-Anne Martin Fine Art is pleased to announce the “discovery” of an important painting by the Mexican Muralist, David Alfaro Siqueiros, the 1937 Self-Portrait with Mirror. Known only from a black and white photograph, this extraordinary painting, purchased from the artist by the American composer George Gershwin (1898-1937), has been referred to as “lost” for about 80 years. Gershwin died of a brain tumor at the age of 38 and so the history of the painting marks the end of a dramatic and tragic story. Gershwin’s estate was inherited by his mother and the painting hung for most of its existence on Central Park West in New York City. 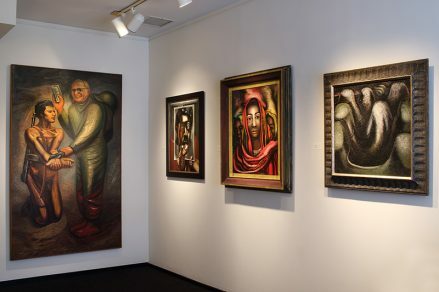 Known for his active participation in Left Wing politics – he was a Communist and also fought on the side of the Republicans in the Spanish Civil War – Siqueiros figured prominently in the history of avant-garde art. In 1936 he founded his “Experimental Workshop” at 5 West Fourteenth Street in New York City. The mission of the Workshop was to explore the use of modern industrial materials such as Duco (pyroxylin) and other synthetics, using tools like spray guns, palette knives and a technique he called “controlled accidents.” His most promising student was the 24 year old Jackson Pollock, whose later “drip paintings” changed the history of post-war American art. Self-Portrait with Mirror, which has survived in near-perfect condition, is airbrushed with pyroxylin on a sheet of Bakelite, a highly unusual combination. Although the painting has been written about extensively, and even appears on the cover of a book, no art historian had seen it in color or examined it in person until two weeks ago, when, at our invitation, esteemed Siqueiros expert, Dr. Irene Herner Reiss traveled from Mexico to study the painting and was thrilled to see this famous work at last. 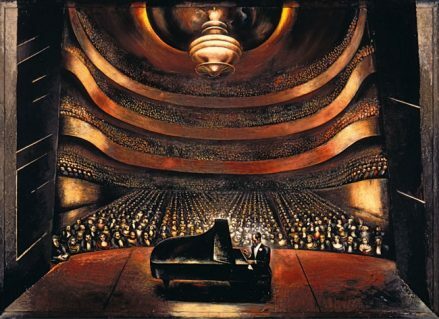 While they had met earlier, the friendship between George Gershwin and Siqueiros developed on a trip that Gershwin made to Mexico in 1935, led by the psychoanalyst Dr. Gregory Zilboorg. Gershwin, an amateur painter, hit it off with Siqueiros right away and invited him to paint his portrait, which after many changes and amplifications resulted in the large and elaborate canvas, George Gershwin in a Concert Hall, 1936. Gershwin, a serious collector of Modern art, was a great admirer of Siqueiros’s work and owned five of his paintings. He contributed generously to the funding of The Experimental Workshop, and one of the works he owned, Proletarian Victim, 1933 was donated to the MoMA, New York by the Estate of George Gershwin. Mary-Anne Martin Fine Art is excited to present Self-Portrait with Mirror to the public for the first time, in glowing color. Please contact Mary-Anne Martin or Emmaline Deihl for more information.